Say goodbye to grocery lists with 80 items that will eventually go to waste. No more boxed mac ‘n’ cheese or canned-soup casseroles. No more wasting money on endless nights of takeout. 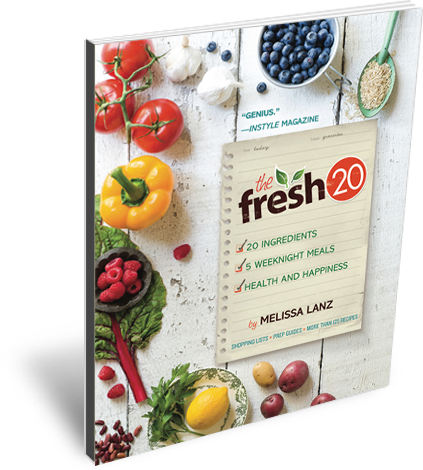 With The Fresh 20 cookbook, the focus is on creating meals the whole family can enjoy together. Using just 20 organic, non-processed ingredients per week, home cooks can create 5 wholesome, delicious meals in just minutes.